Living within our organic and fair trade tea growing Darjeeling region are approximately 5,000 small tea producers and their families. These farmers and their ancestors have nurtured and cultivated our tea gardens for generations. It is true passion, dedication and sincerity of these hardworking “Gorkhas” who are known for their simplicity and bravery, that embody the quality of our teas. It is our sincere responsibility to look after the large community living on the tea gardens – to provide a better quality of life for each individual and their collective family. Organic tea farming is their livelihood. 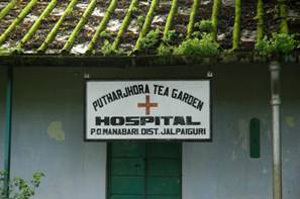 And ours, social responsibility towards these small tea producers. Davidson’s Organics is committed to social responsibility and offers Fair Trade Certified teas. The core commitment of our program lies with the ultimate welfare of our people and community. We have been supporting fair trade since the inception of the ‘Fairtrade mark’ in 1994. 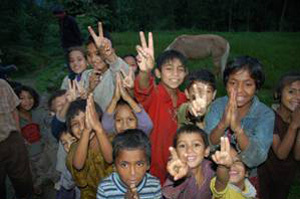 What began as a grass root movement in the 1940s when a few small North American and European organizations reached out to poverty stricken communities to help sell handicrafts, is now a global effort governed by the principles of the Fairtrade Labeling Organizations International (FLO), which globally monitors progress on this important and international effort. The program now extends out to tea, coffee, cocoa, fruits, sugar and honey, to name a few. Many farmers in developing countries have to contend with fluctuating prices that may not even cover what it costs to produce their crop. 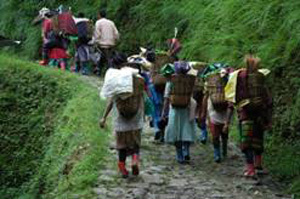 Fairtrade is a trading partnership that focuses on sustainable development for poorer producers. It does this by providing better trading conditions, raising awareness of their situation and campaigning. Producers registered with FLO receive a minimum price that always covers the cost of production and an extra premium for investment in local community projects as agreed democratically by that community. Who certifies Davidson’s Fair Trade products? Fair Trade USA, a leading certifier and nonprofit 501(c)3 organization, audits and certifies transactions between Davidson’s and our farmers/growers. Drink Davidson’s Fair Trade Certified Teas, knowing that your purchase is empowering the livelihood of small tea producers and growers, who pluck your tea leaves. Thank you for helping us support this important program.